Electrical Motors, Generator Sales | Row Electrical Equipment, Inc.
No matter what industry you're in -- from plastics or manufacturing, to aggregates or agriculture -- you need electric motors and motor controls that you can count on. Row Electrical Equipment, Inc., can address all of your electrical requirements, including A.C. and D.C. motors, motor controls, transformers, power distribution, and switch gear. We buy and sell new and used industrial electrical equipment throughout the United States. Get in touch with us to sell your surplus electrical equipment, or to find that special motor you need to get up and running. We answer the phone 24 hours, and we ship coast to coast. At Row Electrical, we stock even the most hard-to-find electrical equipment. We inventory a wide variety of electric motors, motor controls, and transformers in our 100,000 Sq. Ft. Toledo warehouse. Call us with your specific electrical requirements. If we don't have what you need, we're sure that we can find it. We also custom build electrical controls for virtually any industry. We have also supplied single phase to three phase power converters from 10 Hp. to 200 Hp. All of our reconditioned equipment comes with a one-year warranty. Find the equipment you need or sell us your old pieces. Call Toll Free 24 Hrs. When you need new, used, or refurbished electrical equipment, you need to work with a company that stands by their products. We are a family run business, and we value our reputation. 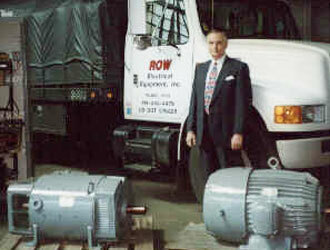 At Row Electrical Equipment, Inc., we advertise our own products, and we own what we sell. You're always going to get a quality product, because our name and reputation backs up everything that we sell. Whether you run a plastic extrusion business, a manufacturing plant, a quarry, or a sawmill, we have a variety of equipment that can help get you up and running smoothly. We also have the expertise to back up our products. Dave Row has been in the business since he left college teaching in 1975, and Jim Row joined Row Electrical after college in 1998. We understand the operation of various electrical systems, and we can help you get what you need to satisfy your electrical requirements. Our commitment to you is the one-year warranty that we provide on all reconditioned equipment sales. 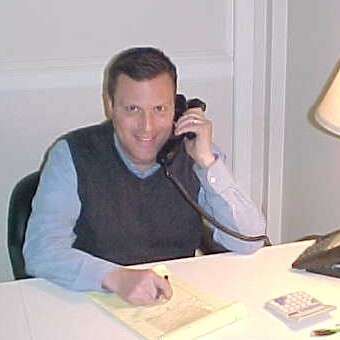 We answer the telephone 24 hours, and we are known for our quick response time. Our customer base includes a variety of businesses that are spread throughout every state in the U.S.A., plus companies in other countries. We have negotiated attractive freight tariffs with major truck lines in order to reduce expensive freight costs for our customers. Our main objective is to be problem solvers, and we try to do so expertly, and affordably.